Omaha is a very popular card game where players must make the best five cards hand. Omaha can be played in many land based poker casinos or in online casinos, and it is also part of the World Series of Poker Tournament which is prestigious event that brings in players from all around the World as they compete to win the top prize. Omaha can also be played as part of the challenging game HORSE. 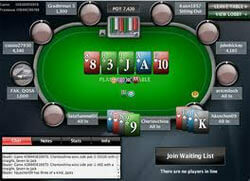 The mistake that many people play is to try to play Omaha like Texas Hold ‘em, but that is an entirely separate game. Before the game begins, one player is given the dealer button even though they will deal any cards. The player immediately to the dealers left will place the small blind bet and the player to their left will place a big blind bet. The player to the left of the big blind must then call or raise the bet, or fold their cards. Each player is dealt four cards faced down so that only they can see them. Do not mistakenly think that this will increase your chances of winning, because you can only use two cards to form a winning hand. The player who posted the small blind is the first one to act, and then action continues clockwise around the table. Once the first round of betting has been completed three cards are dealt to the centre of the table faced up. There is then another round of betting. A fourth card is dealt faced up to the centre of the table. This is then followed by another round of betting. The river card is the fifth and final card that is dealt faced up to the centre of the table and completes the community cards. There is then a final round of betting. Following this, the players must then show their cards and the player with the highest five card hand is declared the winner. You need strong hands to win in Omaha; a pair or three of a kind isn’t good enough and will often be easily beat. Omaha isn’t Texas Hold ‘em, you are dealt 4 cards instead of two, but you can only use two of the cards to complete a winning hand. The best hands to have are Straights, Flushes and also a Full House.